The Digital Asia Hub and its collaborators are excited to announce the appointment of Malavika Jayaram as the Hub’s inaugural Executive Director. Malavika is the inaugural Executive Director of the Digital Asia Hub. 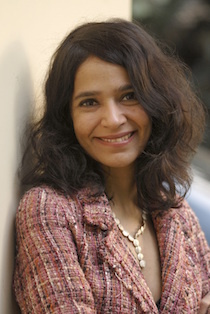 Prior to her relocation to Hong Kong, she spent three years as a Fellow at the Berkman Klein Center for Internet and Society at Harvard University: she has been a Faculty Affiliate of the centre since 2017. A technology lawyer for over 15 years, she practised law at Allen & Overy, London, and was Vice President and Technology Counsel at Citigroup. She was featured in the International Who’s Who of Internet e-Commerce & Data Protection Lawyers, and voted one of India’s leading lawyers. She was recently commended in Who’s Who Legal’s “Data 2018: Data Privacy, Protection and Security Analysis” as “highly visible in the market and (…) known for her exceptional expertise in data policy and e-commerce law”. A graduate of the National Law School of India, Malavika has an LL.M. from Northwestern University, Chicago. She taught India’s first course on information technology and law in 1997, and has taught at Northwestern’s Pritzker School of Law as part of the Master of Science in Law program bridging STEM subjects and the law. She has been a Fellow with the Centre for Internet & Society, India, since 2009 where she helped start their privacy program. She was a Visiting Scholar at the Annenberg School for Communication, University of Pennsylvania, and has had fellowships at the University of Sydney and the Institute for Technology & Society, Rio de Janeiro. She is on the Advisory Boards of the Electronic Privacy Information Center (EPIC) and Mozilla’s Tech Policy Fellowship, and on the Executive Committee of the IEEE Global Initiative on Ethics of Autonomous and Intelligent Systems. Malavika is an Associate Fellow with Chatham House (the Royal Institute of International Affairs), as part of its Asia-Pacific Programme. She sits on the High-level Expert Advisory Group to the OECD project, “Going Digital: Making the Transformation Work for Growth and Well-being”. She is a member of the World Economic Forum Global Future Council on Human Rights and Technology for the 2018-2019 term.